Derek wanted to turn seven, but with no matching socks and a room that looks like the night after a pirate party, it didn’t look promising. After seeing flowers growing from his sock draw and overhearing a conversation about parents murdering children for untidy rooms he knew he was done for. 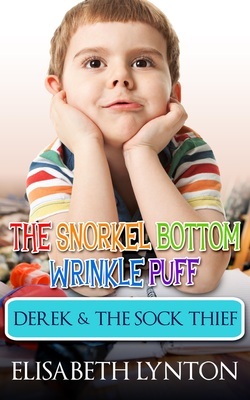 Derek, along with his best friend Jack, set out to find the culprit and prove it was not his fault, only to find more trouble. With his birthday less than a week away and the promise from his parents that he won’t reach it if his room is not tidy, he needs to find the solution and fast. Tom’s cat Domino likes to hide in suitcases. One day Tom’s father goes on a business trip and accidentally takes Domino with him. Tom searches everywhere around the house for Domino but cannot find him. When Tom decides to look in Domino’s favourite hiding place, he realises where Domino must be. 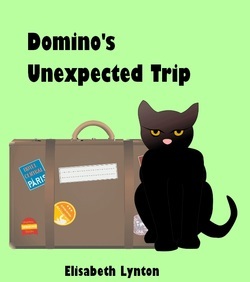 I wrote this story after watching my own cat climbing into a suitcase to hide and wondered what would happen if he climbed in, unnoticed, when we were actually going somewhere. It is a fun and light-hearted book from the perspective of Tom, a six year old boy, learning about the responsibilities of looking after a pet. Becky is blamed for everything. She feels her parents never listen to her. When she and her new stepsister, Pamela, find someone stealing their Christmas presents, Becky soon realises her family needs her to rescue, not only them, but Christmas as well. Check this out, I now have a fantastic review! Thank you Jeffery. Elisabeth's book "The Practical Joke" is a fun and exciting Christmas story for kids. The characters are interesting and have personal issues to work out that make the story more exciting. There are blended families, sneaky present thieves, chase scenes and bubble guns, clever escapes and daringly ingenious rescues. A great story to read to younger children or for confident younger readers (8-12) although I know older kids who would love the story too. My reviews and suggested reads! I loved this book, a great read for the young. Sigmund’s Sandwich is a fun well constructed story I am sure boys, especially, will love. Great for those who love reading about things that go bump in the night. Highly recommended. Here's a link to purchase and you know what? It is only 99 cents you couldn't even buy a coffee for that!